Our modern diet, high in low-quality carbohydrates, is damaging our bodies-producing a constant overload of sugar in our bloodstream that clogs up our arteries and piles hidden fat into our internal organs. The result has been a doubling in the number of type 2 diabetics, as well as a surge in those with a potentially hazardous condition-prediabetes. It is now known that even moderately elevated blood sugar levels can trigger heart disease, stroke, dementia, and cancer. Scientists have recently demonstrated that you can prevent and even reverse type 2 diabetes with a simple change in diet and lifestyle. 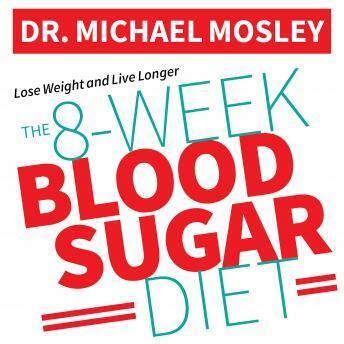 Drawing on the work of professor Roy Taylor-one of the U.K.'s foremost diabetes experts-and his own experience as a one-time diabetic, Dr. Michael Mosley presents a groundbreaking, science-based, 8-week plan for diabetics who want to reverse their condition (and then stay off medication). He also offers a more flexible regime for people interested in the extensive health benefits to be gained from lowering their blood sugar levels and shedding dangerous fat.